Pres. 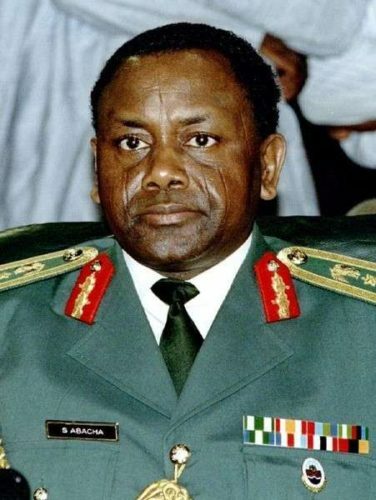 Buhari has praised late military dictator Sani Abacha for his work in building infrastructure. 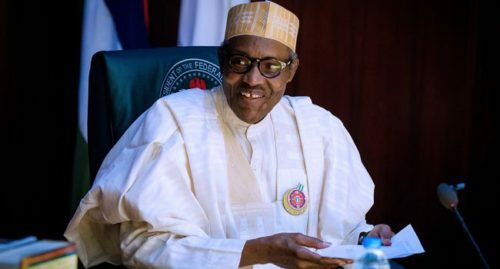 Speaking at the villa on Tuesday, Buhari said that regardless of what anyone thinks about Abacha, it must be remembered that subsequent civilian presidents spent billions on naira in infrastructure yet have had little to show for it. 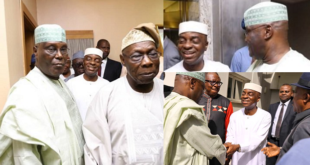 In a comment that appeared directed at former president Obasanjo, Buhari specifically noted: “You know the rail was killed and one of the former Heads of State between that time was bragging that he spent more than $15 billion on power. Where is the power?” I have to repeat what I want public to know here. Some of you may not have heard it. Either there is no power in your place or even in the television, I said and I challenge anybody to check from Europe, Asia and America. Between 1999 and 2014, Nigeria was getting 2.1 million barrels per day at average cost of $100 per barrel. It went up to $143. So Nigeria was earning 2.1m million times 100 times 16 years. When we came, it collapsed to $37-38 and it was oscillating between 40 and 54 sometimes. I went to the Governor of Central Bank; thank goodness I did not sack him; he is still there! I went with my cap in my hand but there were no savings, only debt. And you know more than I do, the condition of the roads and some of them were not repaired since PTF days. No matter what opinion you have about Abacha, I agreed to work with him and the PTF road we did from here to Port Harcourt, to Onitsha, to Benin and so on… On top of other things in the institution, education, medical care and so on. And now we have to pay the debts and this year and last year’s budgets were the highest in capital projects: more than N1.3trillion. Let anybody come and confront me publicly in the National Assembly. Call the Marketing officer Compt. Sunday Godwin on +2348101780516 for purchase order and details.